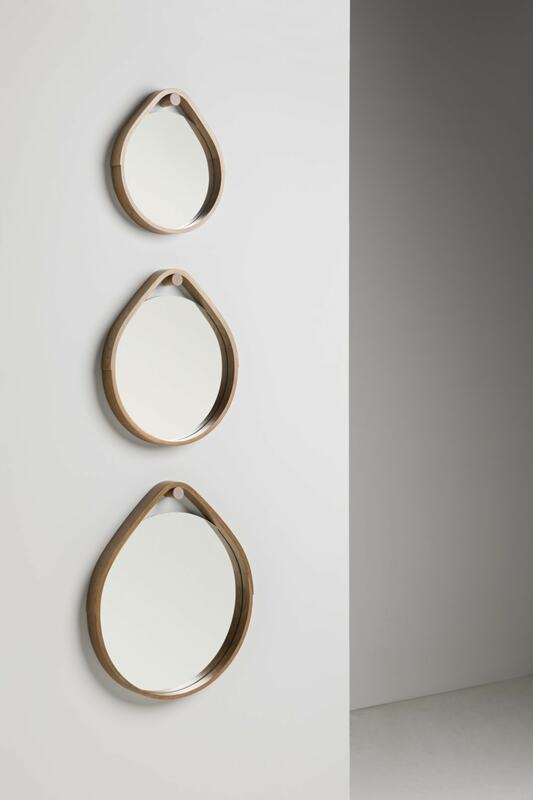 The form of our Hoop Mirror represents a contemporary take on the round wall mirror, their antecedent form coming from that of traditional Shaker boxes. At Thos. Moser, we believe that all things made by hand, big or small, are equally worthy of considered design and precious resources – as exemplified in our Hoops. 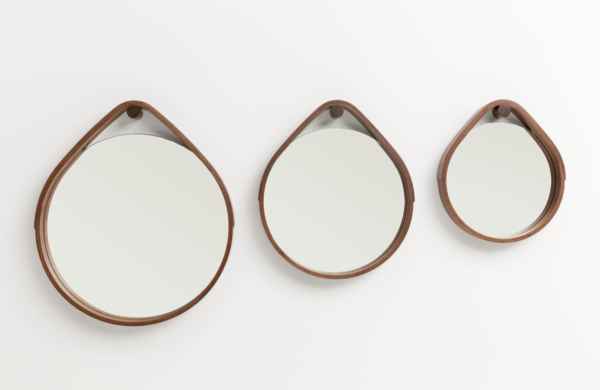 Each mirror comes with a Shaker-style wooden peg upon which it can hang. 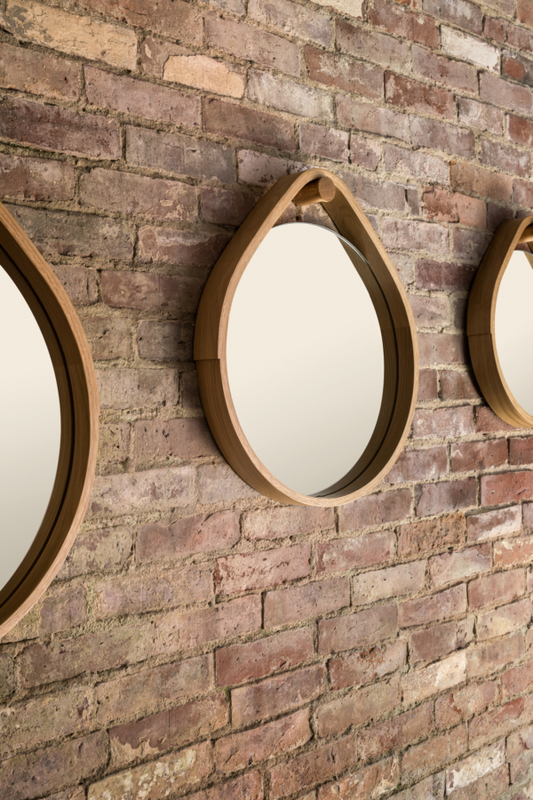 Available in three sizes – large, medium and small – and a variety of wood species, these circular mirrors are the perfect accessory for any room. 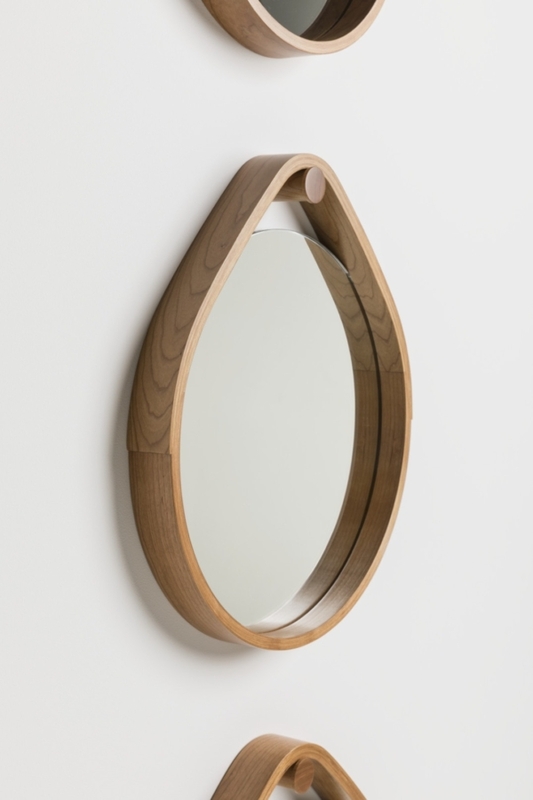 The form of the frame is achieved through stack laminating solid wood veneer. Once the form is achieved when glued in a frame, each component is machined on the CNC individually, then joined via an exposed scarf joint of the side. Once assembled, the circular form is machined again to have a rabbet joint in the back to accept the mirror. 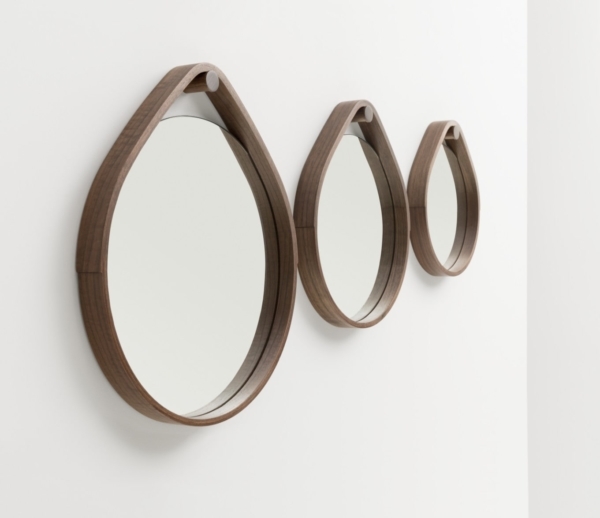 Like many of more recent designs, the Hoop Mirror embraces our available technology, but still relies on skilled handwork to achieve the final quality for which we are known. 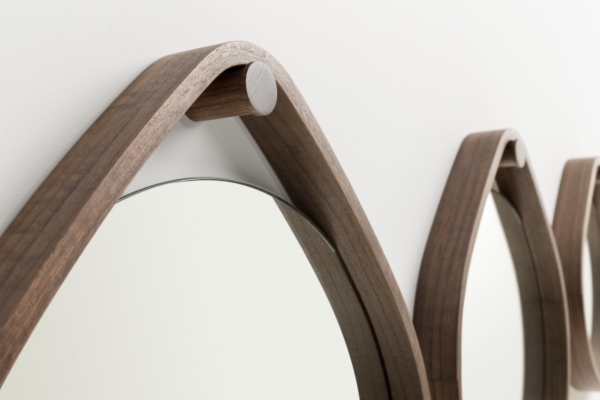 The mirror is a true balance of low and high tech craftsmanship. The Hoop Mirror is available in three sizes, in a variety of wood species, and each is sold separately. Each mirror includes mounting hardware and instructions for mounting to wall board only as well as for mounting through the wall board into a stud.